Dark-Balkans Blog | DeviantArt: Rules! .:. About the Group .:. This is a group dedicated to Dark Artists from Balkan. Everyone else is free to watch the club if interested. Dark Art is a product of the 20th Century, which defines its art style as being "dark" or unsettling in nature. Called and classified under many names it has been presented in many forms by many artists, illustrators and film-makers. The purpose of this group is to promote this style of art & artists that create it. .:. Rules for Joining .:. Dark Art artists & fans from all Balkan countries are allowed to join. ->Write in your joining request from what Balkan country are you from! ->Everyone else is free to watch the club if interested. Slovenia, Croatia, Bosnia, Serbia, Montenegro, Romania, Bulgaria, Macedonia, Albania, Greece and Turkey. If you don't live on Balkan but your origins are Balkanian (that means you have lived some time in your life in any Balkan country) you can join too. ->But you have to state that fact in the message of your joining request & write from where are your origins (where have you lived). All Balkan Dark Art lovers may join the group. ->There is no need to have dark art in your gallery. But you can't submit any art that is not the theme of the group. ->Only artists that have Dark Art in their galleries are allowed to submit their art. In your joining request you may submit links to some of your DarkArt works. ->Everyone is welcomed to watch the club if interested. 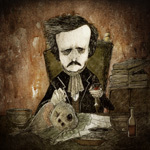 After joining you can in due time expect your best Dark Art deviations to be submitted to our gallery by our contributors & moderators, so you can get exposure. .:. Rules for Submitting art .:. Only works/deviations that meet the Dark Art theme are allowed! We accept any type of artwork medium. You can submit 1 work per week. ->Please submit your best works! ->But after joining you can, in due time, expect your best Dark Art deviations to be submitted to our gallery by our contributors & moderators, so you can get exposure. Please submit your work to the proper folder. ->You can submit to any gallery folder except "Featured". ->Partitions of galleries are based on DeviantArt examples, in order to simplify submitting for each member. No unfinished works, blurry images & scrap doodling are allowed. ->We DO have standards & we want to make a collection of greatest works. All submitted work has to be your own! ->All used stock to create a deviation has to be mentioned in the comments of your work. All your Dark Art literature deviations should be translated to english so that all members can read it. ->You should have the english translation in the main deviation work. You can have both the translation & your native language in the in the main deviation literature work. We do not accept any works of an offensive nature or works containing hate & intolerance. ->Be respectful to other members! .:. The work can be declined (or expired) due to any of the following reasons .:. What you submitted does not relate to the groups theme. Your work doesn't meet a minimum aesthetic quality. You submitted to the wrong category. Your work breaks some of the rules. Your work may expire because there are not enough votes from moderators for it to be accepted. Usually this happens to not so great works because we don't have a minimum quorum votes to accept it into gallery. Thank you for your understanding & please submit your best DARK art. If you have any questions please feel free to write us your note (in english language). Sep 22, 2012 Contest: Black Magic - Winners announced !! Sep 6, 2012 Contest: Black Magic - CLOSED !! Latest: Contest: Black Magic - CLOSED !! Latest: Contest: Black Magic - Winners announced !! I kept saying "Ye, with so little chastity, leave my side". but I still held on to it. "Light - so bright, shining from your case, young maiden"
"Such phosphorous beckoning, you carry around." "Every roll of silk, every almond blossom... it compares not to this luminosity." my tiny bin that sheltered my presence. We affiliate with active Dark Art groups or Balkan based groups, older then 1 month, over 20 members & the group must have an avatar. -> All affiliate groups are welcomed to share with us their info about contests & so forth (please note us).